Established in 1666, Charleroi was soon invaded by foreigners and it was only in 1830 that a new free era began for Charleroi. The city got a great industrial importance. It was the center of coal, metallurgy and glass production. 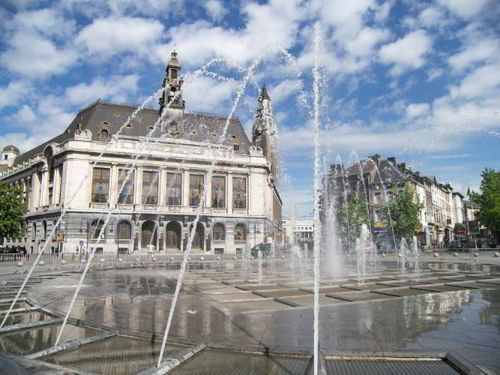 Today, though not visited as often as Brussels or Ghent, Charleroi still attracts many foreigners. 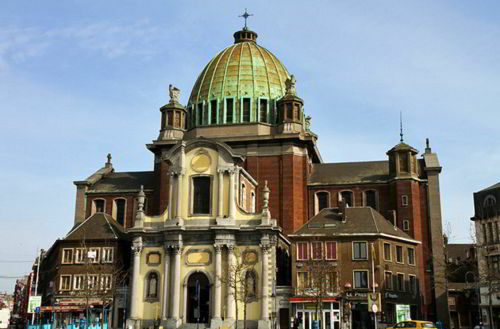 So, if you are already here, don't hesitate but hire a minibus with a driver in Charleroi and tell the chauffeur to drive you to such outstanding places as Church of St. Christopher, City Hall, Gare de Charleroi-Sud, Musee du Verre - Charleroi, Belfry Rue Leon Bernus, and others. If you wonder what makes 8Rental distinguishable from all other car rental services in Europe. Perhaps the dependable personal approach toward each and every client who is relying on us is the clue of our good reputation and success. We strive to provide every customer with everything necessary for having an utmost comfortable and safe transportation in any European city including the city of Charleroi. Hence, whenever you are to rent a minivan with a driver in Charleroi, feel free to apply with 8Rental. We will meet you warmly and ready to turn your traveling in Charleroi into a fairy tale! Just send us a quote and we will come back to you in no time! Our 8Rental CS staff is constantly online and are waiting to receive and proceed your orders. Our CS operators will readily answer any question any time of the day. Feel free to contact us through the telephone number provided, Skype or Email on our company's website. 8Rental is glad to inform that the fuel for the trip is to be included in the offer, as well as, all fees and taxes. By stating the final charge for your order, we hide no extra fees. 8Rental wants to establish reciprocally credible relationships with all its clients. If you are planning to explore Charleroi with a group of friends or acquaintances or perhaps you are heading to this city with your colleagues to attend a conference, then choose 8Rental as your vehicle supplier in Europe and this will be the brightest decision. We offer you several diverse minivan models to find the one that best meets your requirements. Mercedes Viano is a compact and elegant minibus. Though offered at an affordable rental cost, the vehicle is provided with everything you may need on your way toward from one point to another. The comfortable seats and belts, as well as the tinted windows, are great to sit in the van for hours. Other specifications you will find inside the Mercedes Viano your book, include Audio system with CD and DVD player, premier safety system, etc. You can also choose the V class to hire a chauffeur driven minibus in Charleroi. This model, just like the one described above, is designed to drive around eight people in complete comfort. 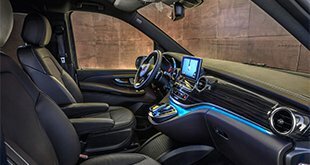 Its V class van features luxurious seats, leather interior, and beautiful lighting, while the air conditioning and central heating make it a perfect transport means for any season. Nevertheless, once there are around two dozens of people traveling in Charleroi, it will definitely be wiser to make your choice on Mercedes Sprinter or Sprinter VIP minibusses. Both vans are capacious and highly equipped. Be certain, you will enjoy any long route across Charleroi inside these vans. Moreover, you are free to rent any chauffeured minivan in Charleroi from 8Rental as all of them are in excellent condition and won't ever let you down in the middle of the road. Collaborating with skillful and responsible drivers, 8Rental guarantees you with safe transportation in Charleroi. 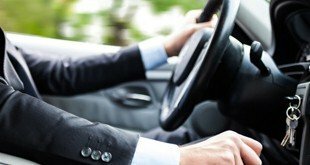 Each and every driver has a driving license, great practice in the field, as well as a sense of responsibility. They are all punctual and know the city's roads well enough to get along without GPS. You just name the address and your chauffeur takes the correct direction immediately. By the way, we employ drivers who can speak not only French and German but also other international languages. If this aspect matters to you, please mention it in the quote. Hire a minivan with a driver with 8rental and we will take you and make your trip become a real adventure!